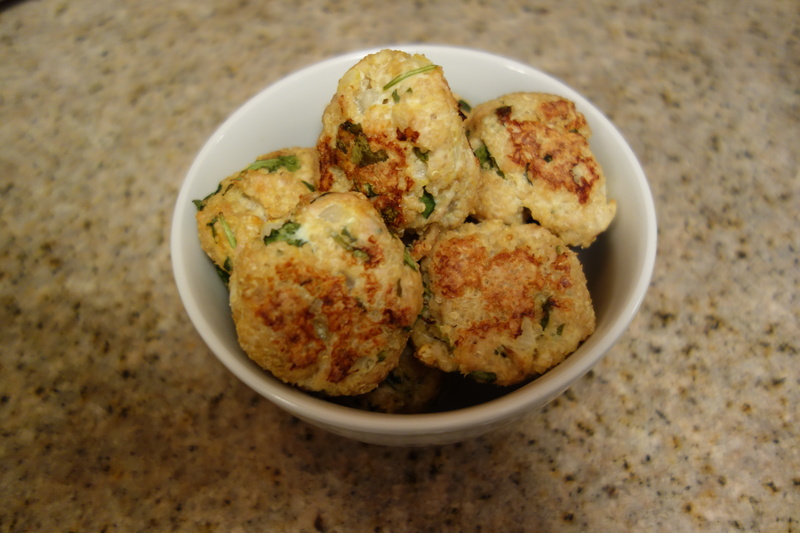 These turkey, quinoa, and arugula meatballs are a filling and healthy main dish. Serve them with a salad or roasted vegetables on the side and your favorite condiment. I frequently eat these with Trader Joe’s garlic mustard aioli, but also like them with barbecue sauce. Quinoa, a protein and fiber-rich superfood, will keep you full. Haven’t heard of it? The United Nations declared 2013 the International Year of Quinoa (it’s a thing) and you can find numerous articles about its benefits. So, time to get on the quinoa bandwagon if you aren’t on it. Arugula, a superfood full of vitamins and antioxidants, ramps up the health-factor of these meatballs even more. Healthy food can taste good too! Cook the quinoa first. I use one part quinoa and two parts water and cook it on low, just like cooking rice. While the quinoa is cooking, begin combining the other meatball ingredients. Dice the onion and set aside. Chop the arugula and set aside. Place the ground turkey in a medium bowl. 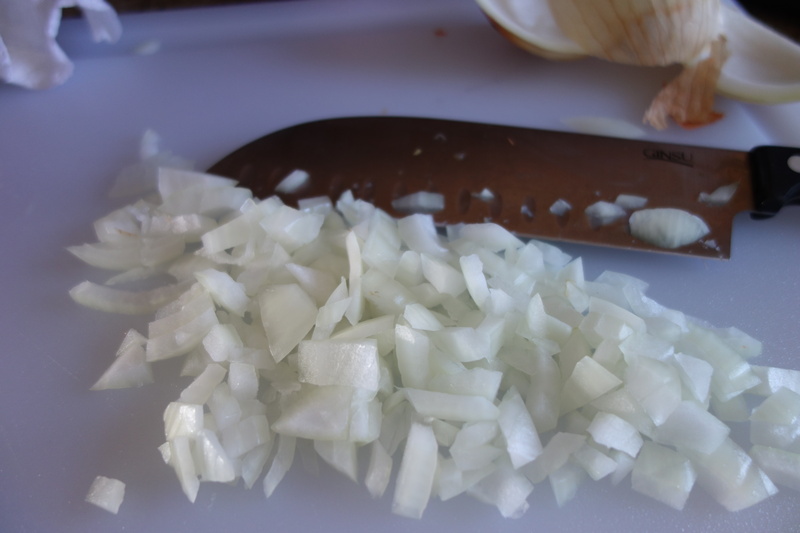 Using a spoon or spatula, mix the turkey with the onion and chopped arugula. Add the garlic, spices, and worcestershire sauce. Roll the lemon on the cutting board with your hand to get the juices flowing before you cut the lemon. Add the lemon juice and grated cheese. You can never have enough cheese, so add more if you want. No judgment. At this point, the quinoa should be cooked. Cool the quinoa before mixing it with the turkey. You can put it in the freezer or fridge for a few minutes to speed up the process. Once the quinoa is cool, mix it with the turkey mixture and add the egg. You may have to use your hands to get everything fully incorporated. Using your hands (sorry), roll the mixture into balls and place on the cookie sheet. Cook for approximately 30 minutes at 350 degrees, turning halfway through so the meatballs cook and brown evenly. Serve with your favorite sauce and pat yourself on the back for being healthy. It’s almost like you never ate all of those strawberry cupcakes. Cook the quinoa on low using 1 1/2 cups of water. While the quinoa is cooking, complete the other steps. 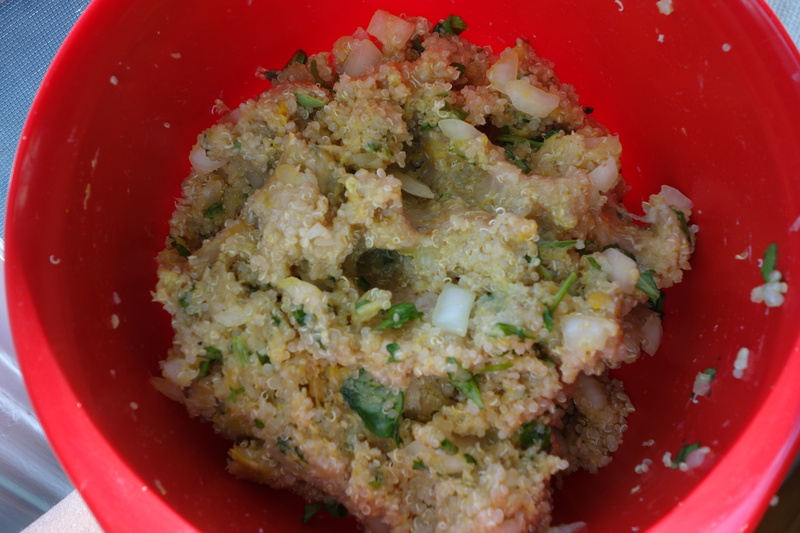 Once the quinoa finishes cooking, let cool before mixing. Chop the arugula and set aside. Put turkey in medium bowl. Add onion, garlic, and arugula. Mix well. Add lemon juice and worcestershire sauce. 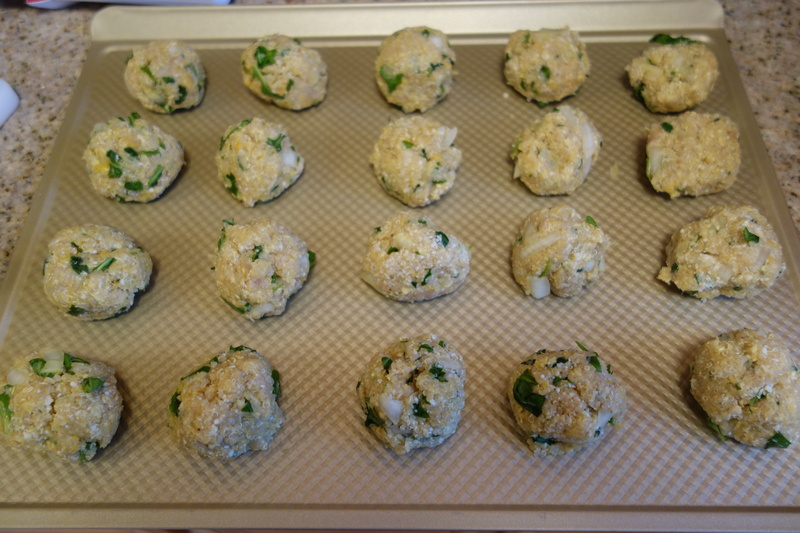 Roll meatball mixture into balls and place on ungreased non-stick cookie sheet. Bake in 350 degree oven for 30 minutes. Rotate meatballs halfway through cooking so they cook and brown evenly.